to change the lives of children and families all over the city. For every dollar you give, about 90 cents goes straight into our life-changing programming. 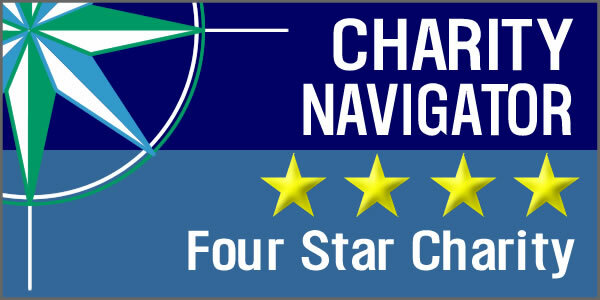 We’re one of the top 1% of organizations in the nation, receiving Charity Navigator’s highest four-star rating for twelve consecutive years. Your gift goes to help real people, right here in Milwaukee. 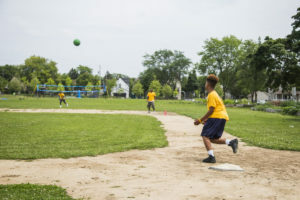 $25 – Provides new recreation equipment for COA’s after-school and summer youth development programs for pre-teens and teens. COA offers a safe and supportive environment for youth to learn, play and grow. 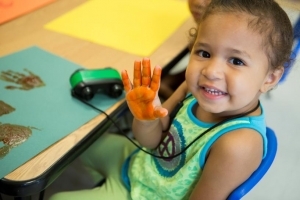 $50 – Provides families the opportunity to play and learn from one another in an open and supportive environment with arts and crafts time at our Family Resource Centers. Your gift will contribute art supplies (paint, watercolors, modeling clay, etc.) to COA’s daily art activities during Family Drop-In time. 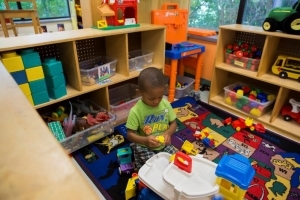 $100 – Provides educational toys that stimulate learning and discovery in COA’s Early Education Centers – skills essential for elementary school and beyond for every child. $500 – Provides 6 days full of kayaking, campfires, biking and friendship for a low-income child. 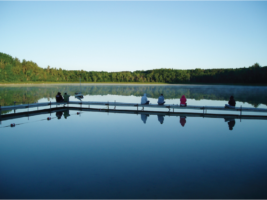 Camp Helen Brachman offers a chance for at-risk Milwaukee youth to enjoy the wonders of nature and starry skies without the worries and stresses of home. $1000 – Prepares a child and parent to be ready and engaged for school by supplying a year of the HIPPY (Home Instruction for Parents of Preschool Youngsters) program for one family. This provides the books, activities, home visits and confidence to complete the literacy building program for children 3-5. 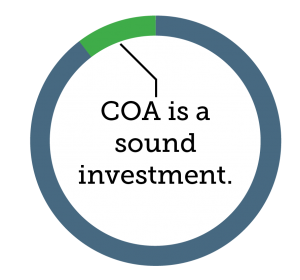 Join the COA Community Champions by becoming a monthly donor. 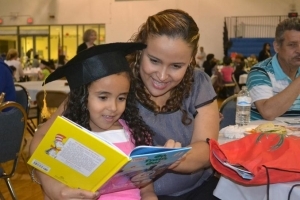 Your meaningful monthly donation can provide consistent, sustained support for our high quality Early Childhood, Youth Development, and Community Development programming. 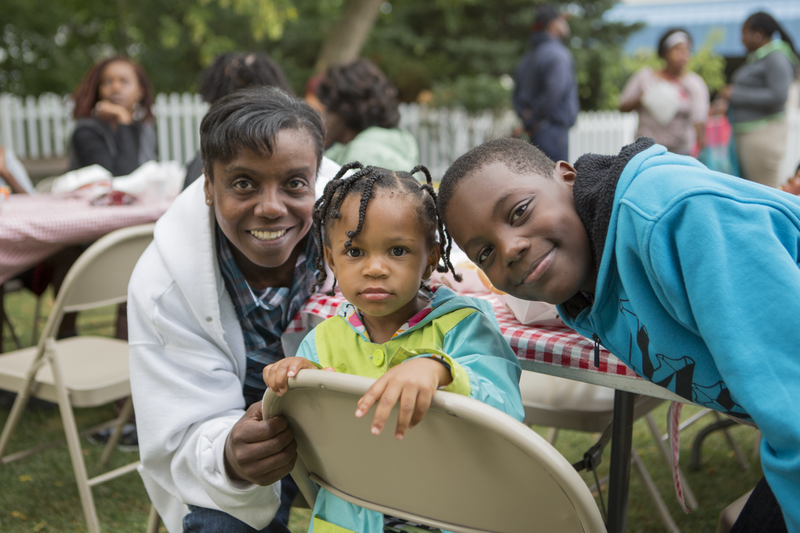 Whether you donate $10 or $100, your gift will make a huge impact in lives of the children and families we serve, and help make our Milwaukee community a better place for everyone. Plus, your name will join a special list of monthly supporters in our annual report and on our website! And don’t forget to check with your employer to see if your company will match your donation. Becoming a Community Champion is also one of the easiest ways to support our mission. Simply fill out the form with your chosen donation amount, and your donation will be automatically deducted! Click here to become a COA Community Champion! A third party event is any activity by a nonaffiliated group or individual. While COA is able to provide support, guidance and program materials for the event, we have limited capacity for handling the majority of tasks associated with large-scale planning and staffing at third party events. Responsibilities can be discussed, and mutually determined on a case-by-case basis. To help make your event successful and enjoyable, and to make best use of our staff resources, please submit the Third Party Event Form to the right at least six weeks in advance of your proposed event. Sufficient lead time will ensure your event is successful and will allow the fullest use of staff as resources in planning your event. Thank you for your interest in supporting the mission of COA Youth & Family Centers. Please fill in the details on this interest form so that we can best understand your event. All proposals should be submitted at least six weeks before you'd like to host an event, and we will respond within one week. Do you have a new or gently used items that you’re interested in donating to COA Youth & Family Centers? We accept a variety of items for use in programming or distribution to participating children and families. Want to host a supply drive at your organization or business? We would be glad to help provide ideas and guidance. Please call Laura Lysaght, Volunteer & Special Events Coordinator at (414) 263-8383 to get started! To transfer stock to COA Youth & Family Centers, please follow the instructions below. If you have any problems or questions, please call Cleary Gull representative David Carroll (414) 270-2228 or COA’s Development Director, Anne Olson, at (414) 263-8383. For our tracking purposes, we ask that your broker send written notice to COA once the stock has been transferred.